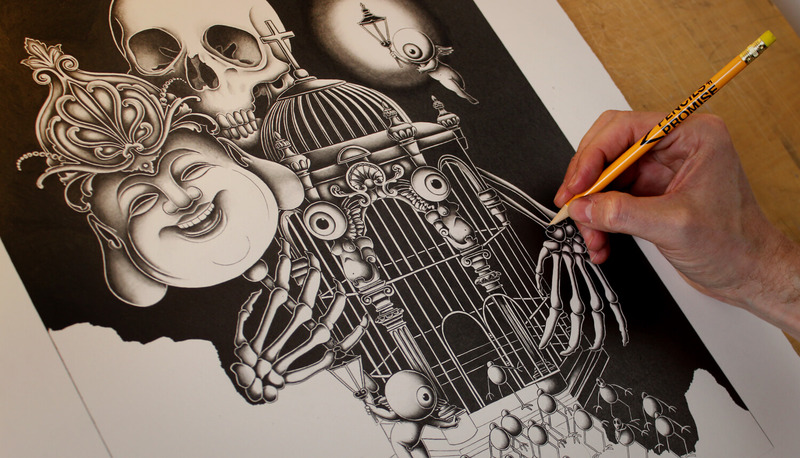 Joe Fenton’s artwork auctioned for Pencils of Promise charity. Participants include leaders across all industries. In the entertainment sector Mariah Carey, Coldplay, Hugh Jackman, Lil’ John, Russell Simmons, Olivia Wilde, Lea Michele and Sophia Bush have all created original works. Sports superstars Shaquille O’Neal, David Freese and Steve Nash have contributed. Fashion gurus and designers Cynthia Rowley, Jonathan Adler and Simon Doonan are participating, as are artists Joe Fenton, Jon Burgerman and Stephen Wiltshire. Other noteworthy individuals include television journalist Katie Couric and Chelsea Clinton. Many additional prominent actors, performers and creators are confirmed to participate and will be announced in the coming weeks. Posters now available from Joe Fenton's shop.